Ships tomorrow if you order in the next 19 hours 55 minutes. 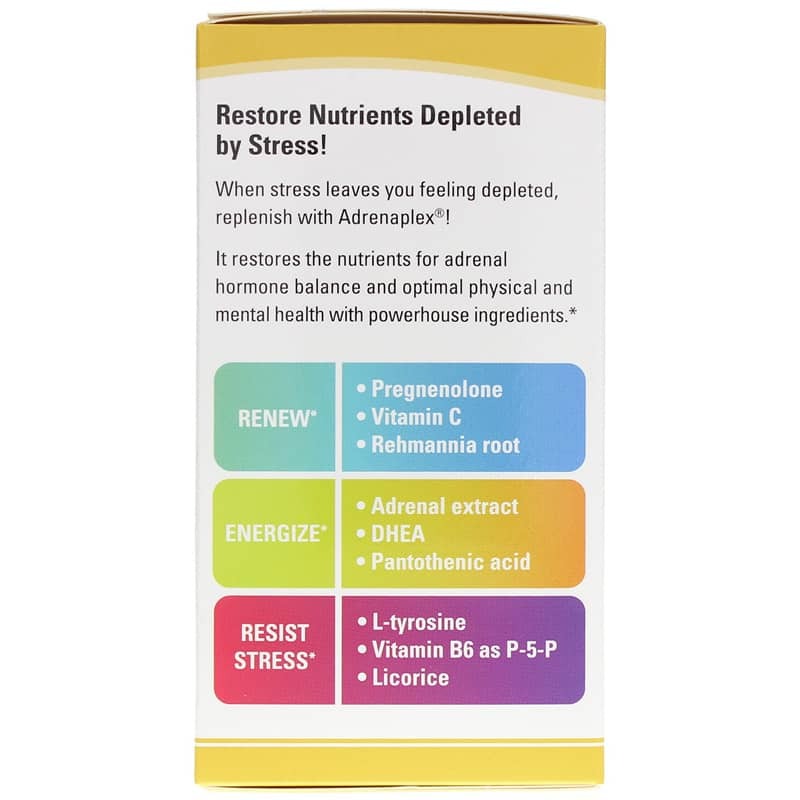 The adrenal glands help the body fight against stress and fatigue, and are responsible for controlling stress hormones like cortisol and adrenaline. 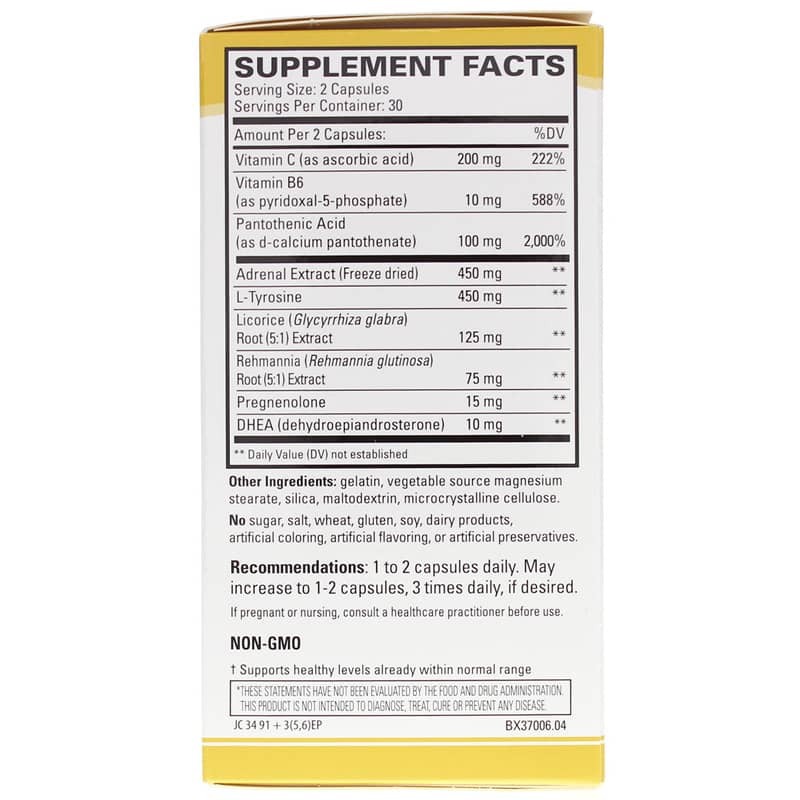 Contains NO: GMOs, sugar, salt, soy, yeast, wheat, gluten, dairy products, artificial coloring, artificial flavoring or artificial preservatives. Adults: 1 to 2 capsules daily. May increase to 1-2 capsules, 3 times daily, if desired. I was taking another because it was cheaper, but when I went on line I found out I could buy Terry Naturally a a better price I switch and it has worked for the best, money wise and I feel better results. I also appreciate the prompt delivery of Adrenaplex. The product arrived as stated and is excellent. The price was wonderful, too! I feel so much better than before. Amazing really. Very prompt delivery also. What a Nice Surprise !! I have been taking this for some time, each time having to pay $26 to $27 dollars on the outside. Went online and found "Terry" and was surprised to get it for $19.95. NO TAX and received it in 2 days, regular mail. The very same one I have been taking. I am so glad I went online. 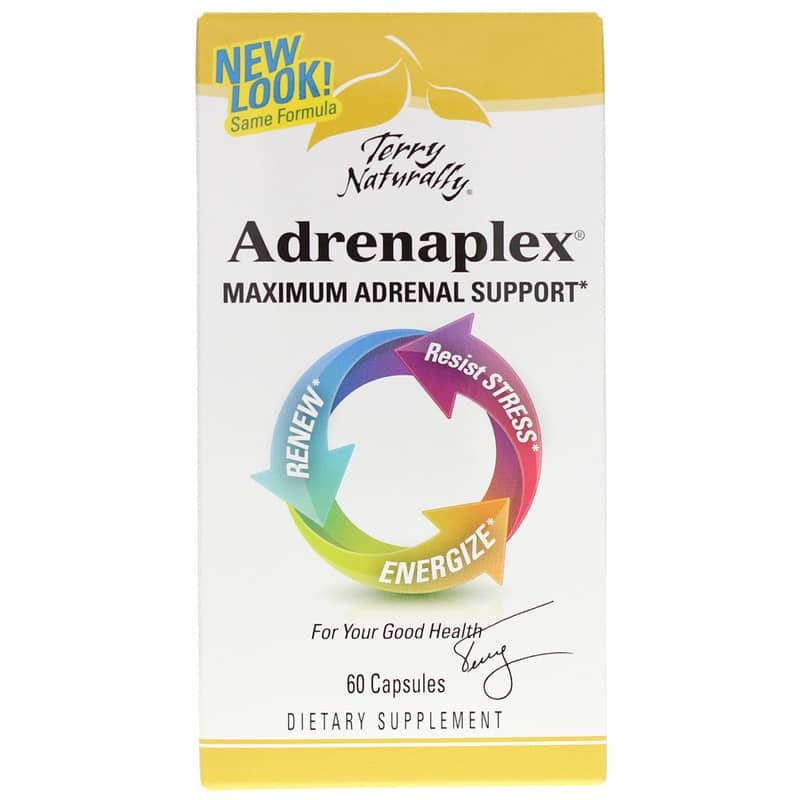 I use Terry Naturally's Adrenaplex daily. It does help. Adrenaplex works great. Product was delivered quickly and at a great price! Adrenaplex has helped me very much! I love it! Adrenaplex really helps. If I miss a dose, I can really tell the difference. 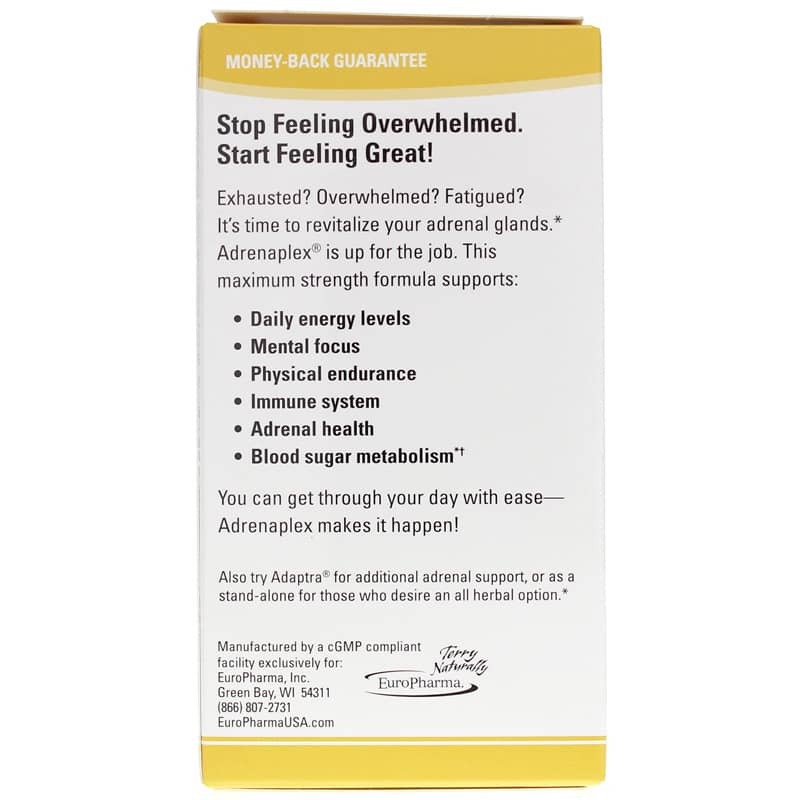 Since I have been taking Adrenaplex, I feel that I have healthy energy and fewer irritations. I highly recommend this product. Awesome! Work exactly what it describe!